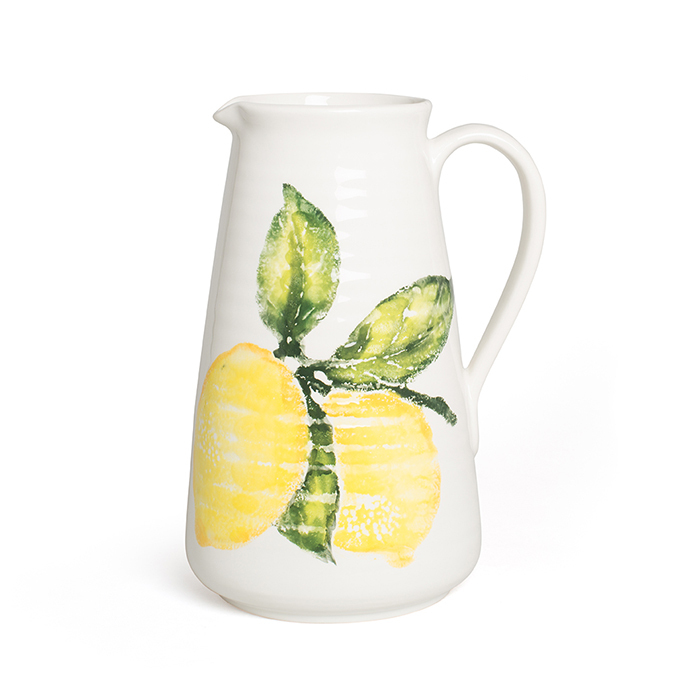 This tall jug is embellished with lemons which have been applied using simple hand-sponging techniques. 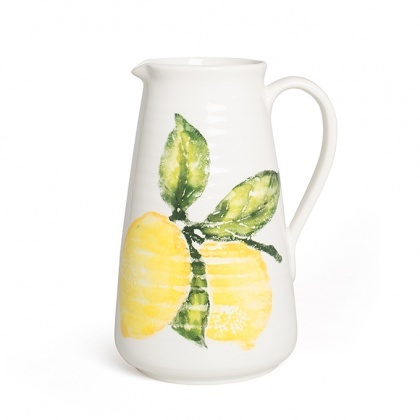 The glaze is textural giving the decoration a unique quality. Each piece is handmade in Italy. *Due to the handmade nature of this item, colour and pattern may vary between pieces.